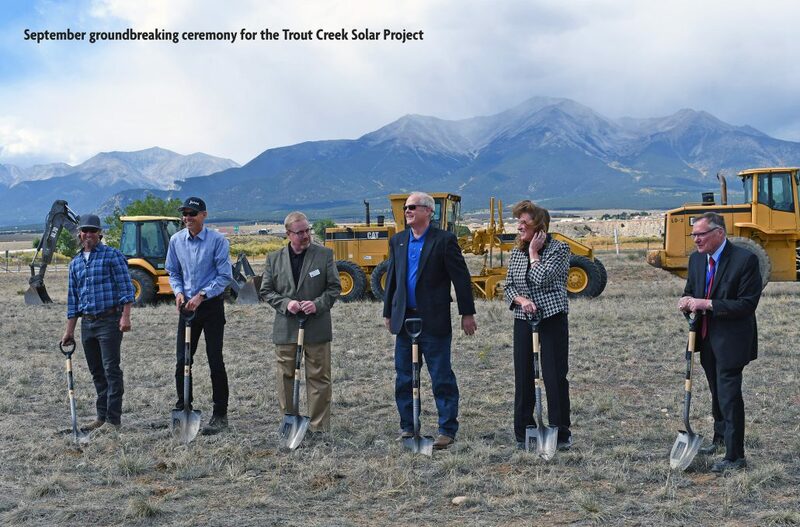 Colorado electric co-op Sangre de Cristo Electric Association, Inc., announced that a 36-year site license agreement is in place for a new solar array project. They proceeded with construction and held a ground-breaking ceremony in September. The 2-megawatt solar array will be built on Colorado Department of Corrections property at the Buena Vista Correctional Facility, an innovative partnership that took 13 months of negotiations and considerations. Once constructed, the array will generate about 5,752 megawatt-hours of energy, which is enough electricity to power about 685 typical homes in the service territory. juwi, Inc., was chosen to construct the solar facility, which continues over the next several months. SDCEA will purchase all the power generated from the solar facility to supply to its consumers. Unique positioning in a mountain valley influenced the co-op to choose a sun tracking system to maximize the output of the array. The array will only generate power when the sun is shining, thus reducing the need for solar-generated electricity storage. As the project proceeds, SDCEA plans to announce the terms for the community solar garden aspect of the project that will benefit members. Look for more information in future Energy Innovations newsletters from CREA.